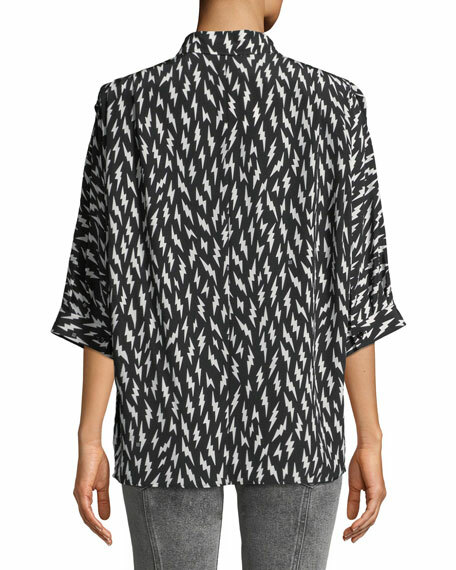 Givenchy lightning-bolt silk crepe de chine blouse. 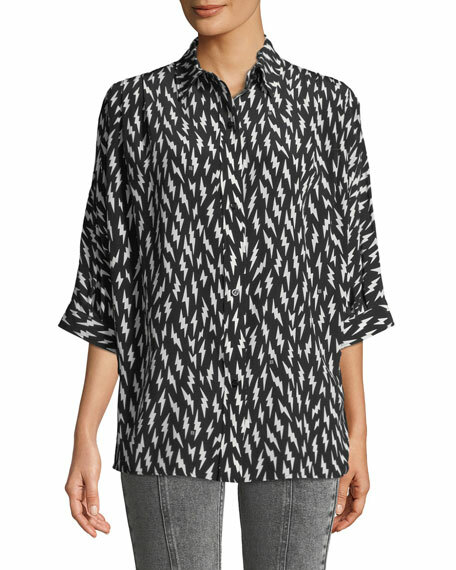 Givenchy sheer silk blouse with embroidered silvertone studs allover. Satin bow necktie; button front. Pouf shoulders. Long sleeves. Chest patch pockets. Slim silhouette. Made in France. Givenchy sheer tulle blouse with metallic lipstick embroidery. Rib-knit collar, hem, and cuffs. Crew neckline. Dropped shoulders. Long sleeves. Regular fit. Pullover style. Viscose/nylon/polyester. Made in Italy.